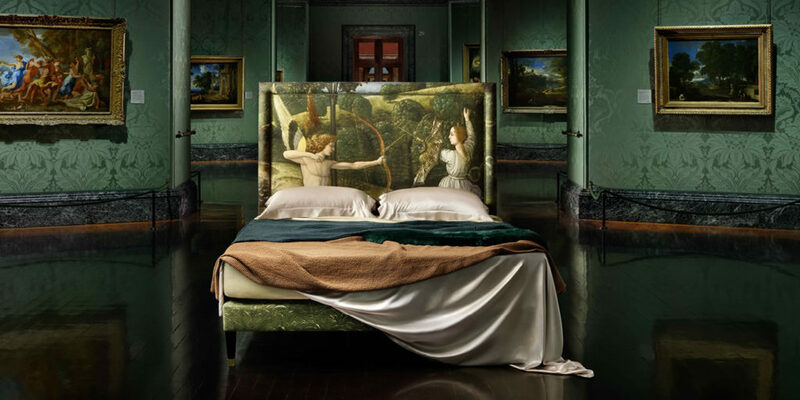 Luxury bedding brand Savoir Beds has launched a new partnership with the National Gallery wherein customers can have any of the museum’s paintings transposed onto a customized headboard. 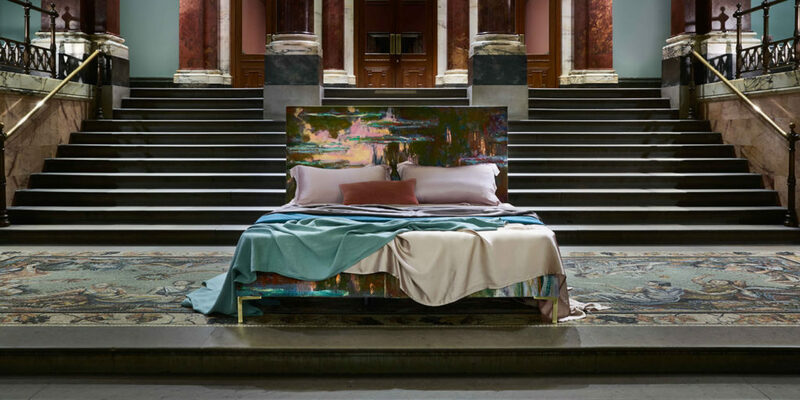 The London-based company debuted the National Gallery Collection earlier this year, an exclusive collaboration that sees the two institutions bringing iconic pieces of art into bedrooms across the United Kingdom. It works like this: Interested buyers choose from any of the gallery’s 2,300 paintings and Savoir, along with design firm Andrew Martin, will recreate the art work and upholster it to a bed frame. While it might seem odd for a bedding company to strike up a relationship with an art museum, Managing Director of Savoir Beds Alistair Hughes explained to me that it’s been a “natural collaboration” from the start. Image provided courtesy of Savoir Beds. According to Hughes, each commission is a highly individualized process involving not only Savoir and the customer, but also experts from the National Gallery who approve each design to ensure the integrity of the selected painting. It’s this thoroughness and attention to detail that Hughes says connects the two seemingly different establishments. Though folks could have their pick of the gallery’s extensive offerings (including works from art giants Seurat, Cézanne, Rubens, Rembrandt, Vermeer, and more), Hughes says the most requested reproduction is Claude Monet’s “Water-Lilies, Setting Sun,” which can be all yours for £29,587.